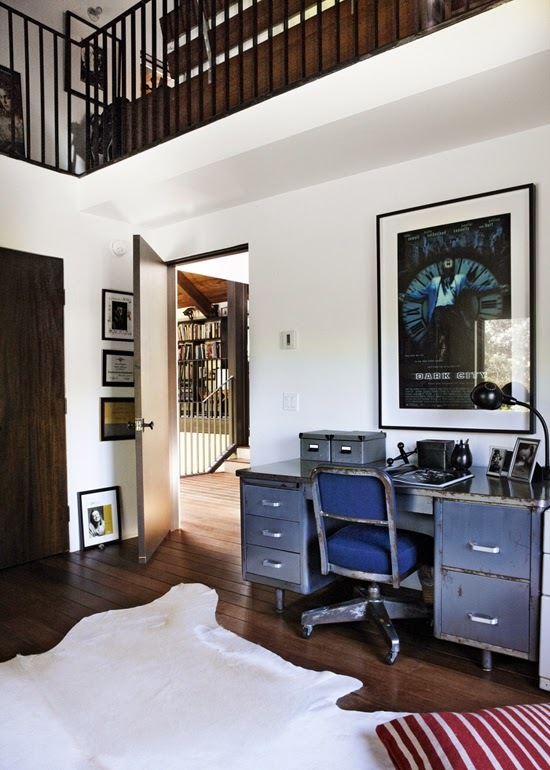 Take a cottage in Malibu and combine with a creative couple. The result is going to be fabulous right? 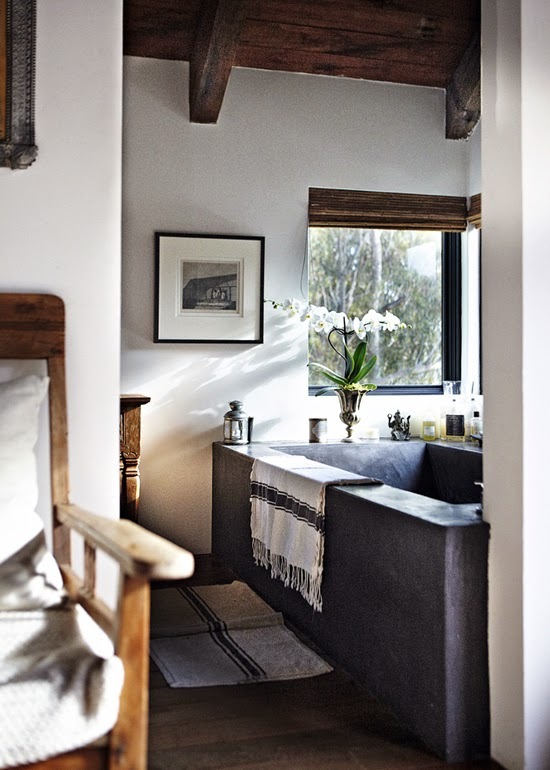 The Californian home of LA stylist Becks Welch and film and music cinematographer Darek Wolski (best known for films such as Alice in Wonderland and Pirates of the Caribbean) is just the right blend of modern and contemporary, industrial and cosy, dark and light. Thank you My Paradissi for leading me to this home and to Swedish photographer Martin Löf for the kind permission to share this home. You've made my Tuesday! 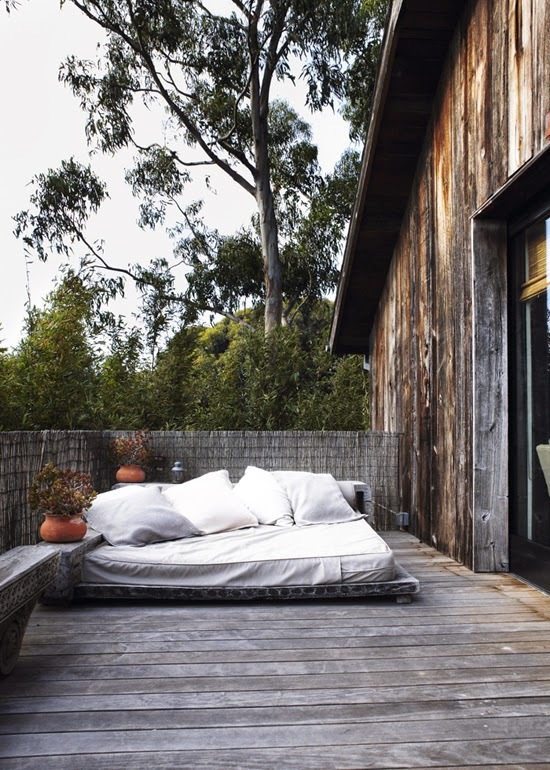 I love how we start to see outdoor spaces creep into the home tours, it's a sign that spring is finally here! I've been pinning images of beautiful swimming pools onto my 'Alfresco' board on Pinterest (a girl can but dream right?!). In case you're mind is also turning to the great outdoors here are some of my favourite outdoor spaces of all time: an oh so stunning montreal oasis (take me there now! 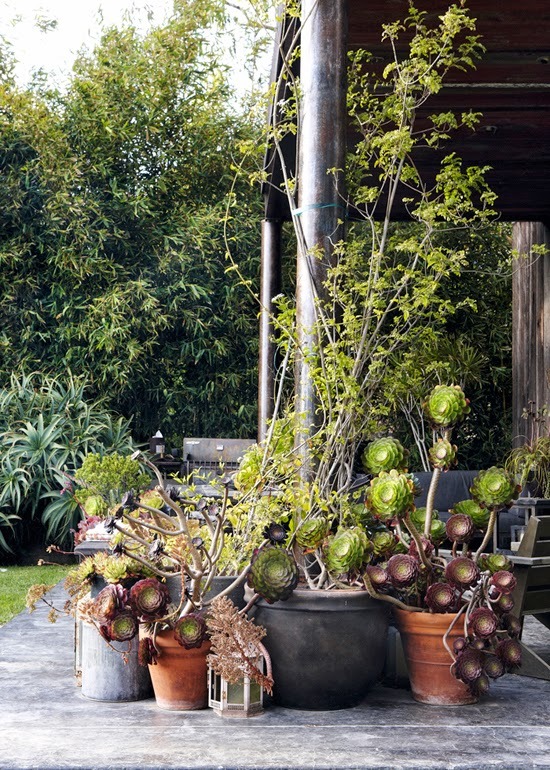 ), rustic outdoor dining inspiration for those balmy evenings (bring them on!) and the very alternative garden shed. 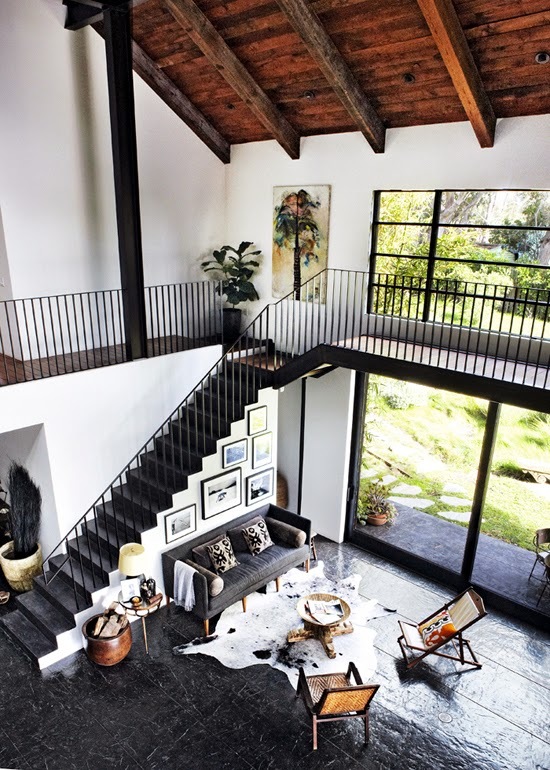 Oh wauw, I love those stairs and that upstairs space! WOW! that really is stunning!! OMg oh yes lets move right in!! Wow! Stunning! It looks so South African. The bed... I want the bed! !